There are 3 iMac workstations located in the clubhouse with complimentary color printing and Wi-Fi. This area is open 7 days a week during our business hours. 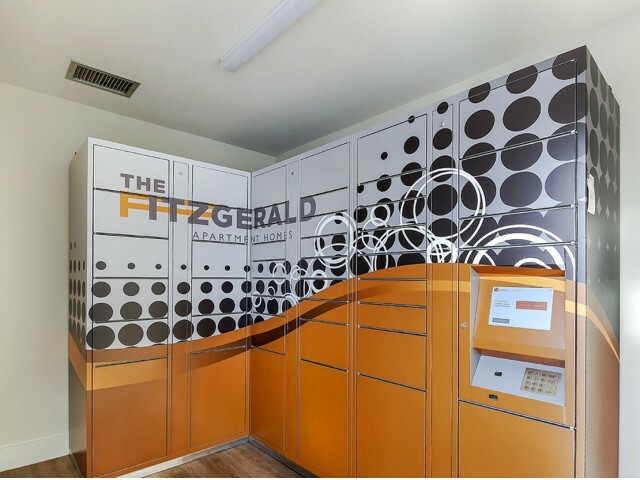 Convenient lockers for all of your deliveries. One-time enrollment fee of $10 for the duration of your stay here. 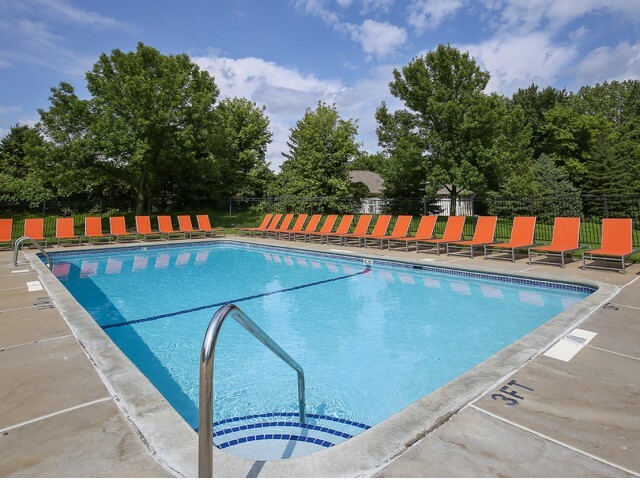 Seasonal outdoor pool open from 10:00 am - 11:00 pm daily. There is a fitness center in each of our 3 buildings. Open 6:00 am - 10:00 pm daily. The fitness centers include cardio equipment, weight machines, and free weights. 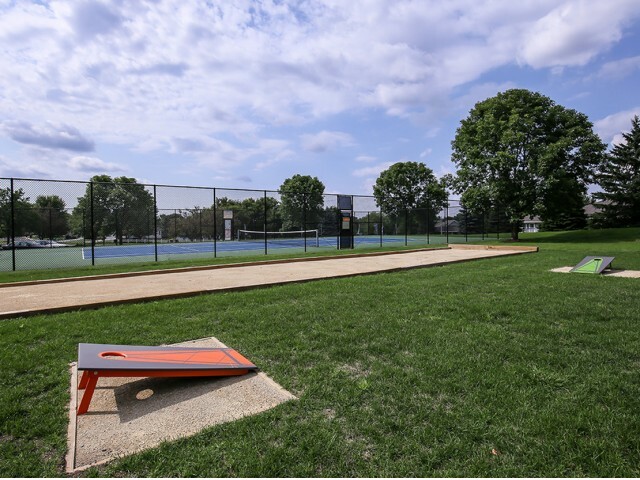 Outdoor game area with tennis, bocce ball, corn hole, and horseshoes. 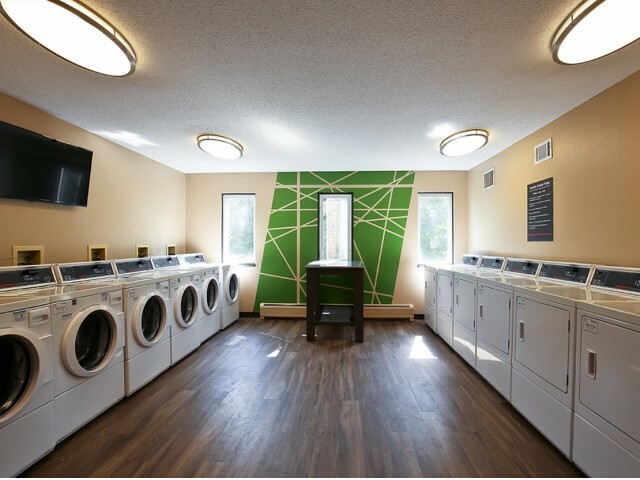 There are two renovated laundry centers in every building. The machines accept credit and debit cards. There are 6 washers and 6 dryers in each centrally located laundry room. Our renovated apartments feature stainless steel appliances. Half of our apartments offer a private pond view.